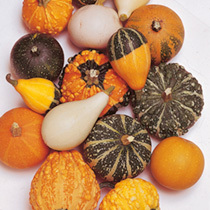 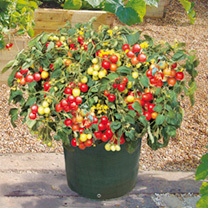 A naturally dwarf, semi-trailing variety, producing a good crop of small, blocky, tasty fruit. 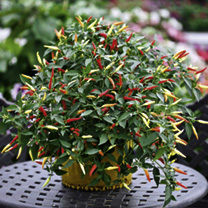 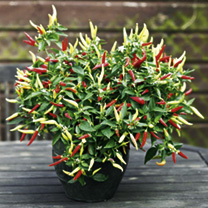 Perfect for containers on a sunny patio, or even on a well lit windowsill. 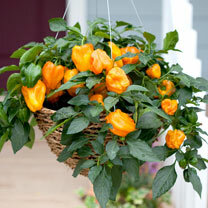 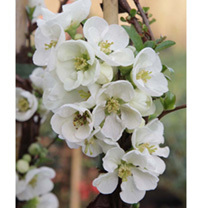 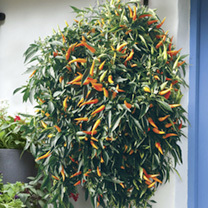 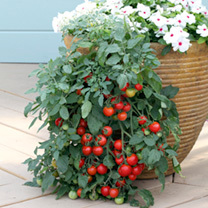 Compact, spine-free plants with a unique climbing/trailing habit that makes them perfect for patio containers and ideal for growing up trellises, nets or stout canes. 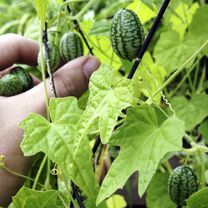 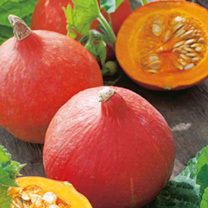 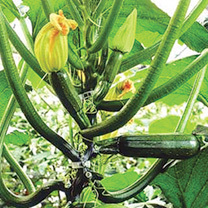 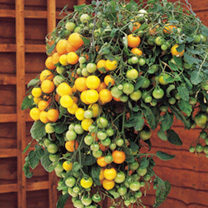 Produces heavy crops of delicious, dark green fruits.